When LA-based screenwriter Todd Alcott isn’t writing for feature films, he’s working on his artistic side project. 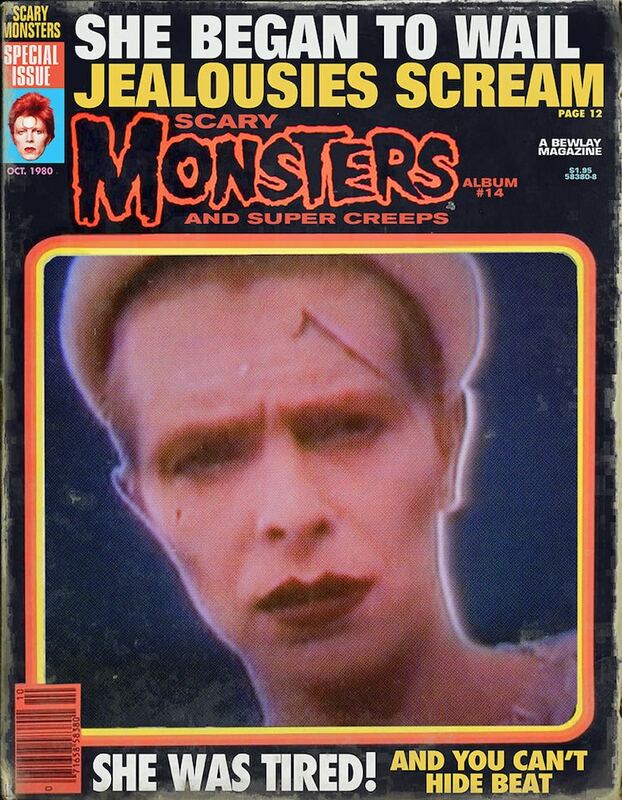 He merges his love of pulp fiction with music to create David Bowie-inspired vintage comic book covers. 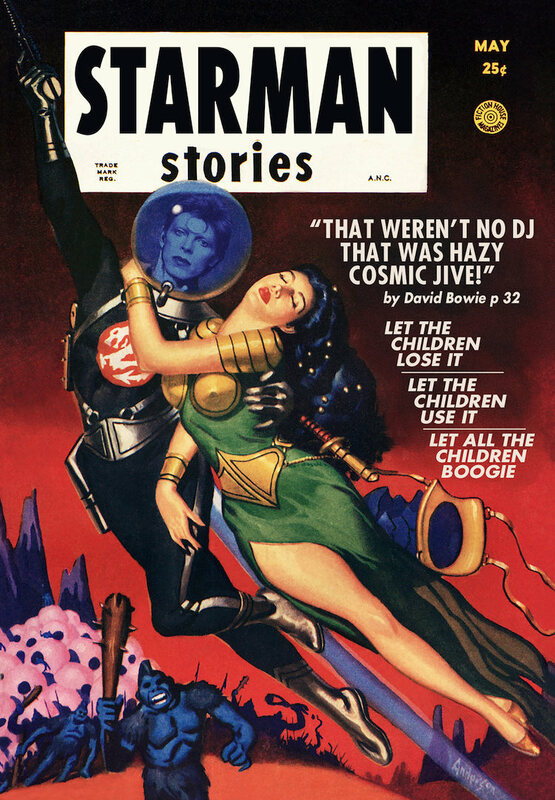 Alcott uses pre-existing vintage paperbacks as his starting point, before digitally altering the text and parts of the image to create his mashup prints. These once loved, now tattered and worn books have been given a new lease on life, and Alcott has chosen no better subject to grace their covers than the equally beloved Starman. 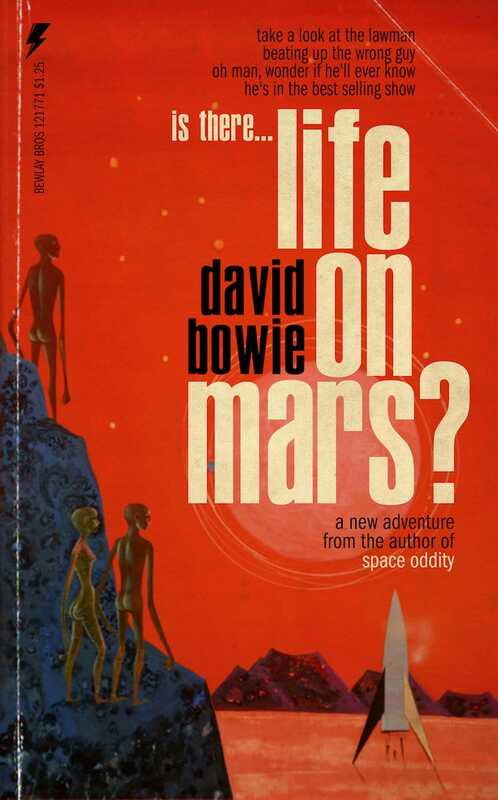 And best of all, Bowie’s fascination with sci-fi, his outlandish fashion, and his love of the antihero make him a natural fit as a graphic novel protagonist. 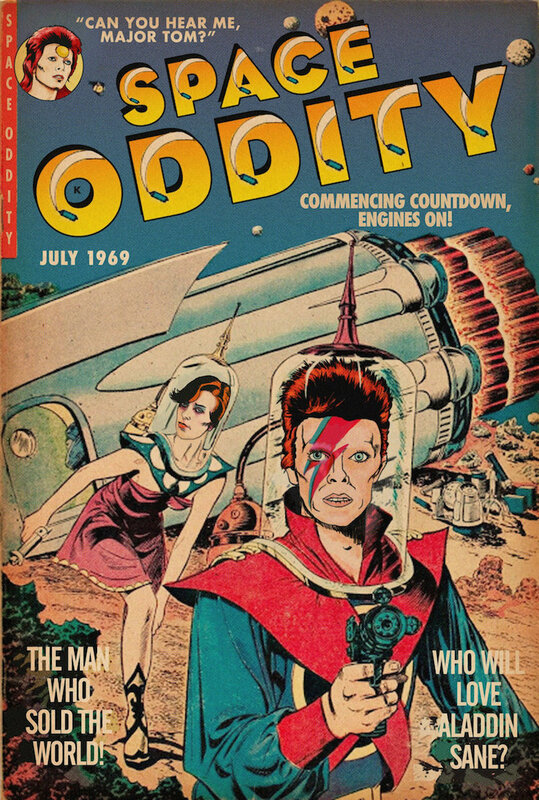 In one print, Bowie’s classic 1969 Space Oddity song is reimagined as a 1960s-era science-fiction comic book. 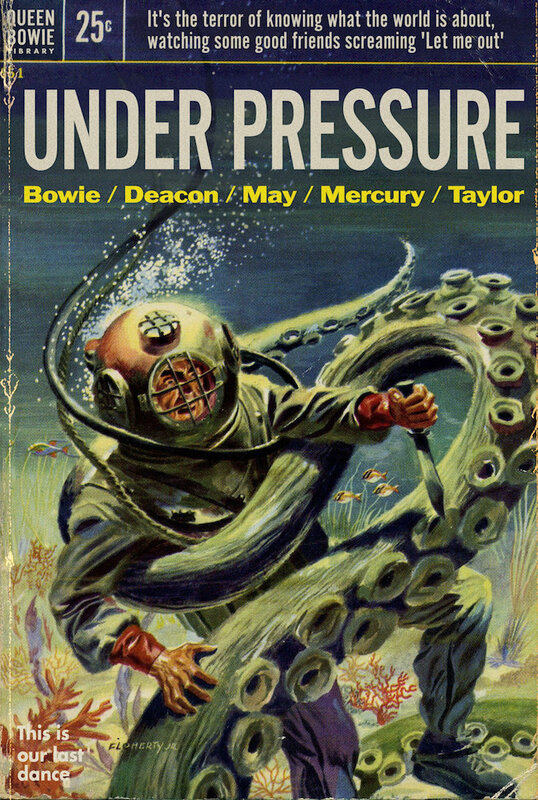 Ziggy Stardust features as the hero, while the surrounding text references lyrics such as “Commencing countdown, engines on!” In another, Alcott pays homage to Queen and Bowie’s Under Pressure collaboration with a cover for a 1950s deep-sea adventure novel. 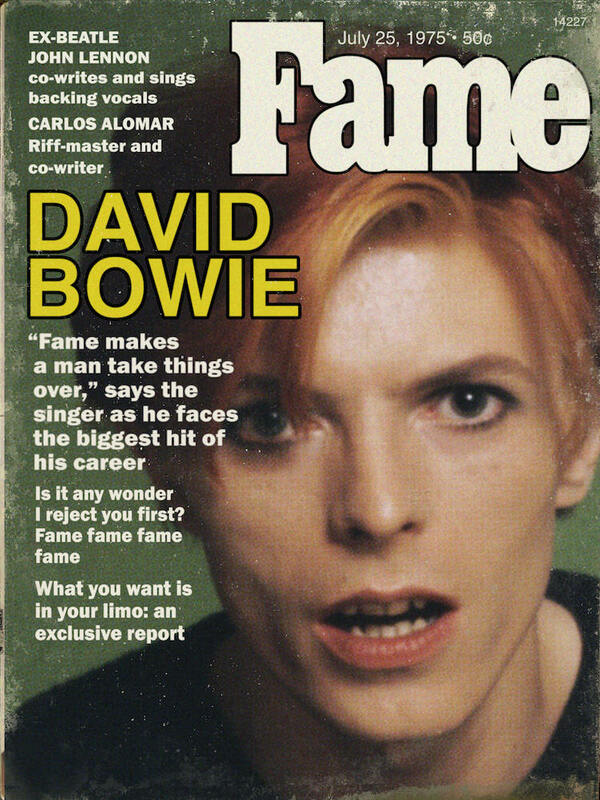 You can see more from Alcott’s portfolio on Etsy, where he also references his other musical heroes such as Prince, Talking Heads, and Led Zeppelin. 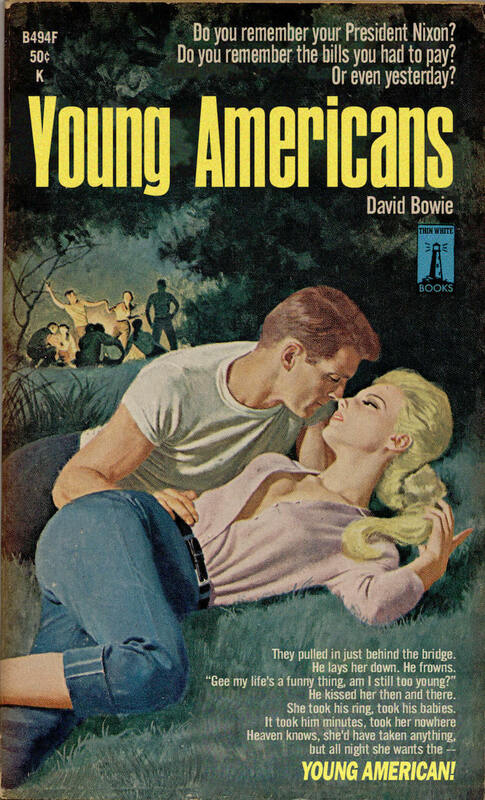 LA-based screenwriter Todd Alcott reimagines David Bowie songs as vintage pulp fiction covers. These once loved, now tattered and worn comics have been given a new lease on life. 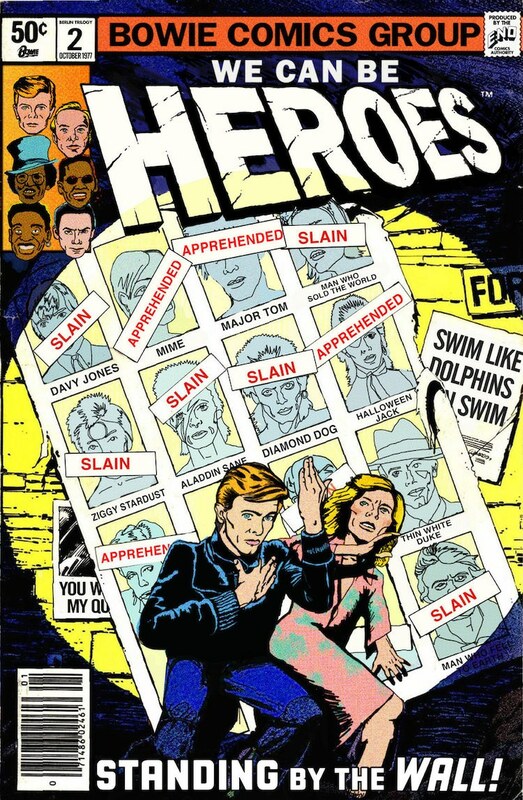 And there’s no one better suited as a graphic novel protagonist than Bowie. My Modern Met granted permission to use photos by Todd Alcott. 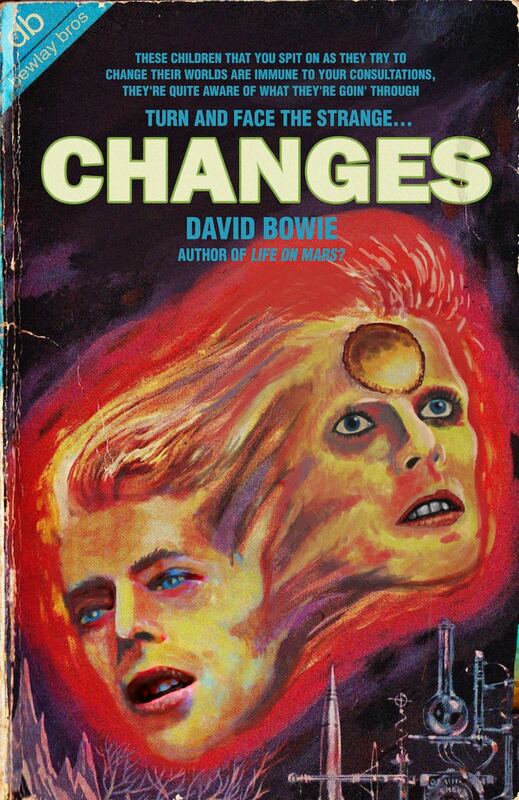 The post Artist Reimagines David Bowie Songs as Old Pulp Fiction Book Covers appeared first on My Modern Met.